Trust an out-of-towner to tell you about shops on your own turf. When my friend B. emailed me from London to ask about the prices of Cire Trudon scented candles, I went straight to their website and from there, to their boutique in Saint-Germain-des-Prés, quite intrigued by the combination of prestigious history and hip factor involved. Cire Trudon is no less than the oldest candle manufacturer in France, founded in the mid-17th century. Its candles have lit – and still light – churches all over the country, including the église Saint Roch where the funeral services of actors and artists (most recently, Yves Saint Laurent) are traditionally held; Trudon furnished the French court since Louis the XIVth; today, it manufacture candles for prestigious houses such as Guerlain, Cartier, Dior, Hermès, and supply the Ritz; in a throw-back to their own, royal history, they also furnished the set of Sofia Coppola’s Marie-Antoinette. To these impeccable credentials, the Blondeau family who has owned Trudon since 1989 has added hip credibility when Ramdane Touhami became co-owner of the brand. DJ/entrepreneur/fashion designer Touhami’s bio is an impressive and eclectic line-up of accomplishments: in 1998 he opened the concept store L’Épicerie as a trashier, hipper version of Colette; his Parfumerie Générale was the first multi-brand niche cosmetics shop in Paris; his Bureau Politique store sold his own brand of menswear, Résistance RT; he opened a chain of luxury shops in Japan. 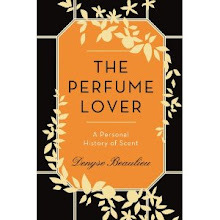 A leap from the salons, convents and gardens of aristocratic France lands you straight into the early 20th century, with Dada, a blend of tea, vetiver, mint and eucalyptus that is meant to open up “magnetic fields”… And you realize that something’s awry. Then you stick your nose in Odeur de Lune and think you’ve tumbled down a worm-hole into the Comme des Garçons shop. Mineral, vegetal, animal? It doesn’t outright stink, but would you want your house to smell of the moon? The candle was conceived by young French artist Philippe Parreno (who also designed one of the cafés of the trendy Costes empire and co-authored a movie with Douglas Gordon on French soccer legend Zinedine Zidane), and is supposedly based on NASA reports. What, then, does the moon smell of? Apparently, molten metal, sulphur, kerosene, salt-peter and coal, on a burnt wood base. This conceptual and disconcerting smell is to be the first of a series: another artist, Carsten Höller (who conceived a fitting room for the Dior Homme boutique in Tokyo under Hedi Slimane’s tenure), is reported to be working on a candle based on pheromones. Aside from this rather costly (€50) line, whose scents were developed by the decidedly gifted Mr. Touhami, Cire Trudon sells less expensive (€22.50 for the larger size, €7 for the small) line of 32 scented candles in more traditional fragrances, including a wide array of gourmands (caramel, chocolate, croissant, tea, cinnamon), a lovely old-fashioned violet and the very Caron-inspired Fleur de Coton (which smells a bit like Caron face powder) and Tabac Blond. The larger candles burn from 40 to 50 hours; the smaller ones last 20 to 25 hours. Please note that no bees were harmed or otherwise exploited to make the candles: Cire Trudon uses its own, secret blend of all-vegetal ingredients. 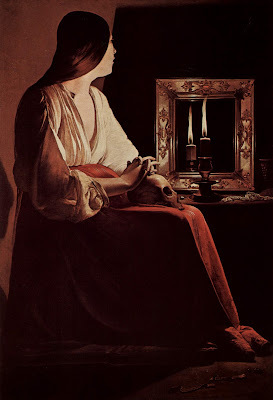 Image: The Penitent Magdalen, George de la Tour (ca. 1640), from Wikimedia Commons. Thank you! I had no idea Cire Trudon had become hip. Last spring, a friend sent me the Trianon candle as a present from Aedes (another store that sells them), and I have never held such an exquisite candle before. While burning, they do not emit as much scent as other brands--in fact, I get very little--but the fragrance that does emerge feels fresh and alive. It makes other wonderful brands seem chemical in comparison. I want nothing but Cire Trudon candles in my life.....Okay, okay, you twist my arm for the truth....plus one Diptyque Tubéreuse candle. Thank *you*, Catherine, for telling me how they burn: I'd forgotten my wallet when I went there, so I haven't bought one yet. What I like is that their fragrances are real compositions, with listed ingredients, which must contribute to that fresh and alive feeling you describe. I don't know if I'd like my house to smell like the moon, but I sure would like to smell the moon! Now I have something to look forward to on my next trip to Paris ; ) I love finding old businesses with modern twists anywhere. 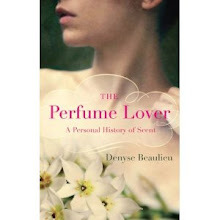 And I've always been intrigued by the Parfumerie Generale, does it still exist? What a delightful post! Hi W.! The Parfumerie Générale shop, not to be confused with Parfumerie Générale, the brand of perfumer Pierre Guillaume, has been closed down now for a few years, as are (to my knowledge) Ramdane Touhami's Parisian shops. It was tucked in an impasse and full of then-obscure for France brands which are now mostly distributed by the larger Sephoras. I found it a good, quieter alternative to the cosmetics-perfume corner at Colette.